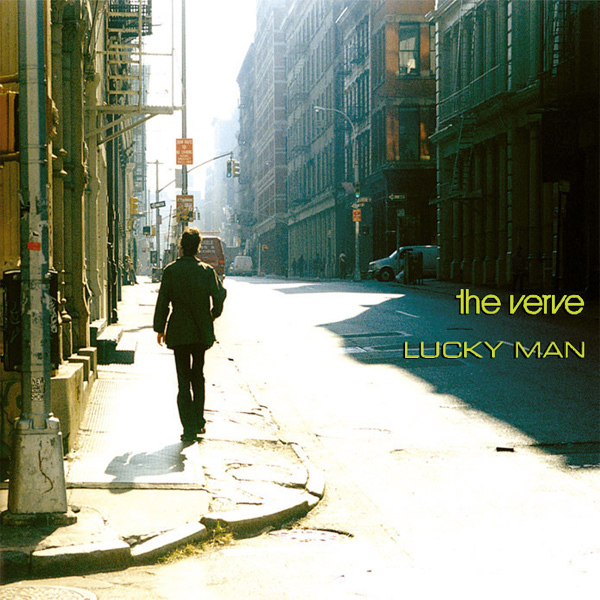 A Lucky Man is the subject of this song by the Verve. And maybe the guy on the original front cover of the single is lucky, though you need to use your imagination a little to understand why. Why? Because all that can be seen from the cover is that there is a guy, walking down a deserted street. On the remix, we see a very lucky man. How do we know he is lucky? He has an attractive naked babe hugging him. Seems like he's a lucky man as far as we can make out. 8!